Build Your Dream Home in Granite Falls' Anchors Landing Gated Community and come home to life at the lake! Beautiful location! 1.71 Acres! Lot 136 adjoins the Clubhouse parking area and is 300 feet from the Clubhouse and Pool. 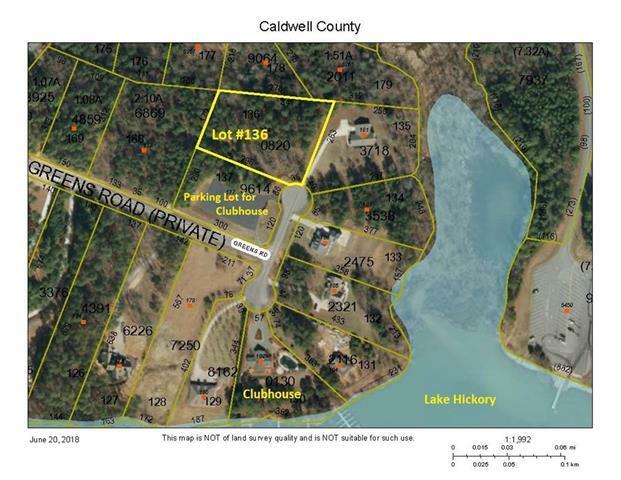 The secluded community is located on Lake Hickory and features acre-plus lots, paved hiking trails/bike paths, lakes, lakefront clubhouse, boat docks, community pool, fenced boat storage area and common areas. The property is located 2.3 miles from a public boat launch. 20 minutes to Hickory; 45 minutes to Blowing Rock, and an hour from Charlotte. Schedule an appointment today!! !